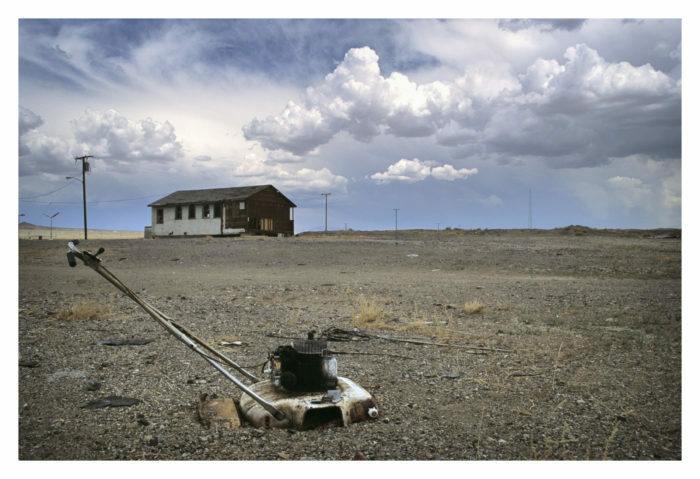 Truth: Nevada is home to scads of ghost towns, mostly mining boomtowns that were abandoned when the mines closed. 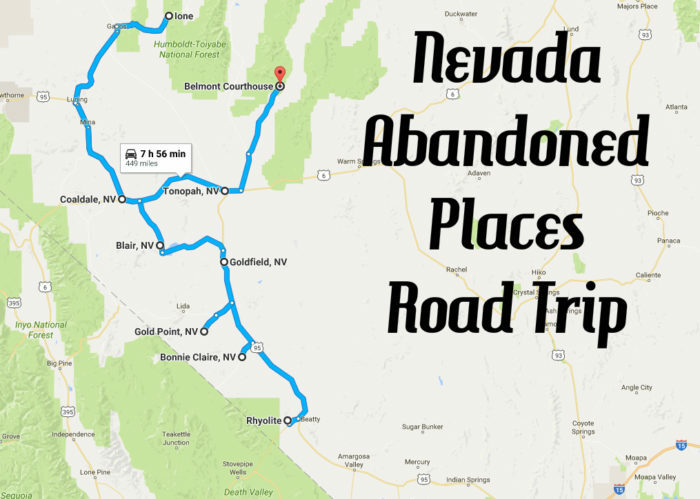 The places I've picked for your Nevada abandoned places road trip just barely skim the surface of the state's abandoned places. There are other equally interesting points, even nearby, worth exploring if you have time. I tried to put together an itinerary that was doable over a long weekend. Feel free to view and customize your route on Google Maps . 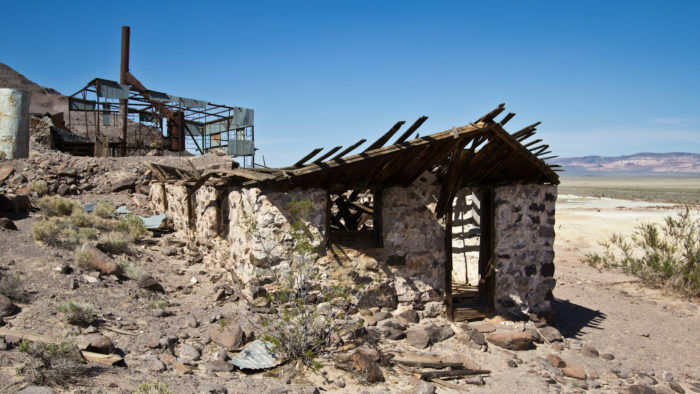 Founded in 1905, Rhyolite is one of Nevada's largest ghost towns. A former mining camp for the Montgomery Shoshone Mine, it was once a thriving area with somewhere between 3,500 and 5,000 people. The town had two schools, a train station and even electricity, but in 1909 the mines ran dry and by 1920 the population was almost zero. 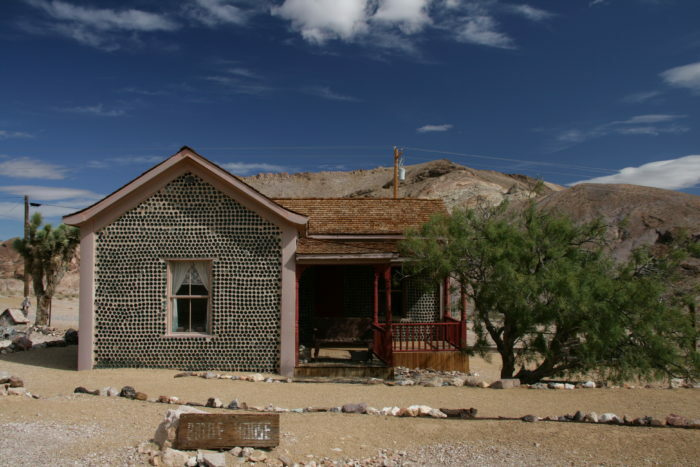 Rhyolite’s ruins include the Bottle House (above), built in 1906 with around 50,000 bottles thrown away by the saloon, the railroad depot, school and jail. 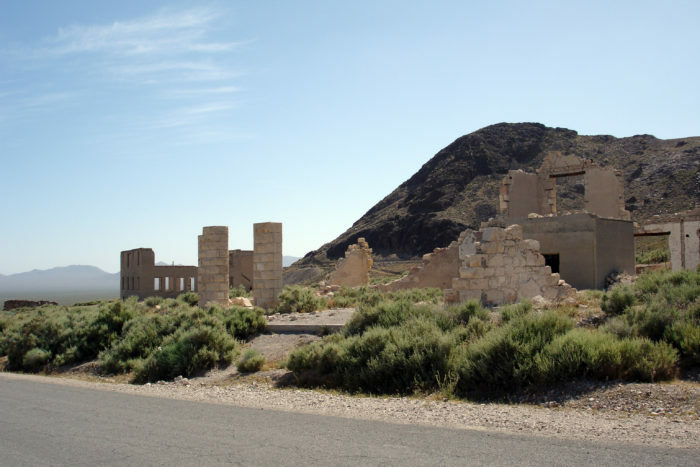 Just south of the town is the Rhyolite-Bullfrog cemetery as is the Goldwell Open Air Museum. 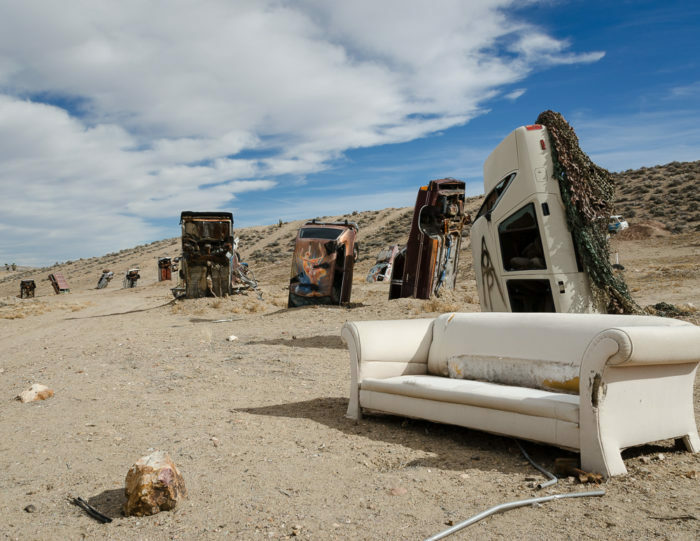 Art pieces at this outdoor sculpture park include The Last Supper, Ghost Rider, Lady Desert: The Venus of Nevada and Sit Here! The airplane has been there since 1978, when the brothel put on a publicity stunt that went awry. The brothel itself is closed to the public. A former milling center for nearby mines, Bonnie Claire experienced a few ups and downs between 1880s and 1954. The infamous, unfinished Scotty’s Castle was built 20 miles from the town (in California), and all materials used to build it passed through Bonnie Claire’s railroad station during the mid-1920s. Today, all that’s left of Bonnie Claire is the ruins of the mill, mine and several stone buildings. First settled by ranchers and miners during the 1880s, Gold Point picked up steam when silver was struck in the early 1900s. The population soared to more than 1,000 people but before 1910, most residents moved away. 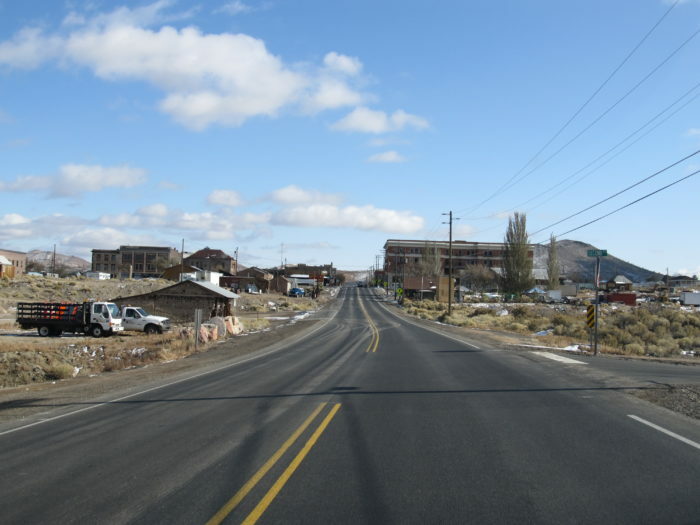 In 1927, however, gold was found and the town again saw success, until government orders shut down operations due to World War II. After the war, mining continued but an accident at the Dunfee Shaft shuttered the mine. The town is now home to less than 10 people, but it’s a hot bed of activity (though you may not see it). Preserved and restored, there is a standing main street, a saloon and a bed and breakfast. 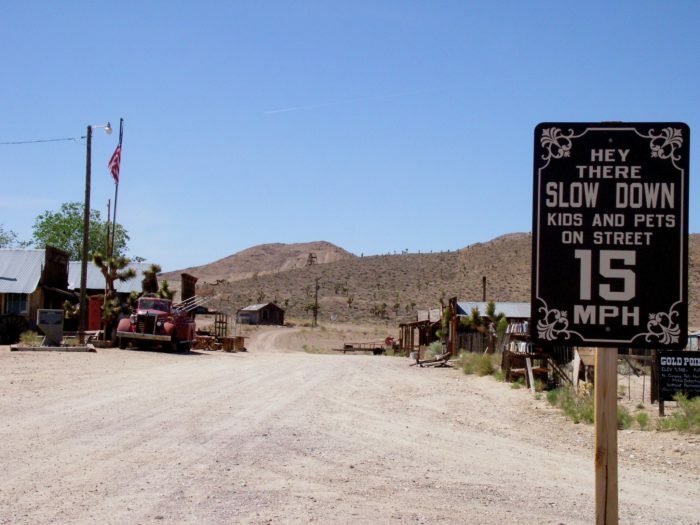 Visitors can tour the mine for a price and rent town cabins for the night. The town is also available for special events and tours. 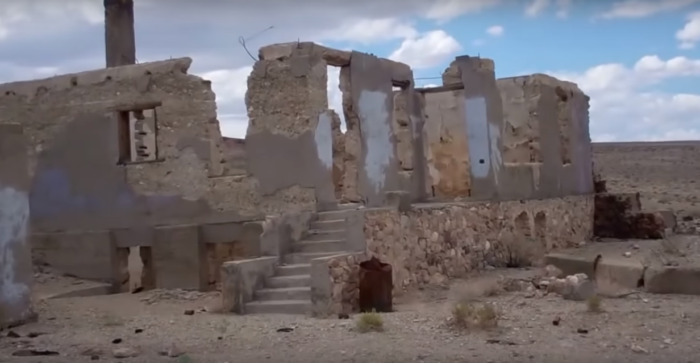 The living ghost town of Goldfield is a former boomtown. 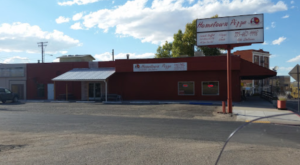 In fact, it was one of the most prominent towns in Nevada during the early 1900s with all the amenities of a large city. Though much of the city was destroyed by a fire in the 1920s, there are several remaining properties in Goldfield including the Charles S. Sprague House and the Rectory building of the First Methodist Episcopal Church. Supposedly haunted, the Goldfield Hotel is a four-story hotel built between 1907 and 1908. 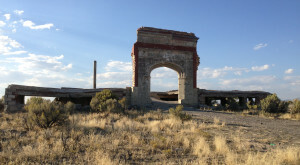 It operated into the ‘40s and was one of the most prominent buildings in Goldfield. A self-guided walking tour is available. 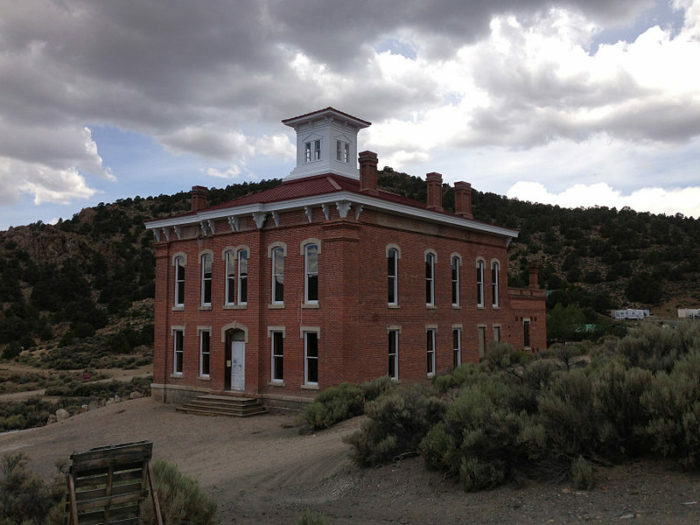 Though limited, dining and lodging are available in Goldfield. With a population of about 700, Blair was established in 1906 by The Pittsburg Silver Peak Gold Mining Company. 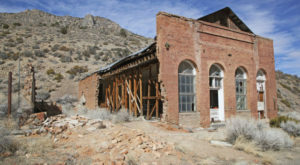 The town housed a mill, cyanide tanks and a small railroad as well as a post office, saloons, a newspaper and a hotel. A decade later in 1916 the town was completely dead. Here you will see mill ruins, old building foundations and abandoned old cars. 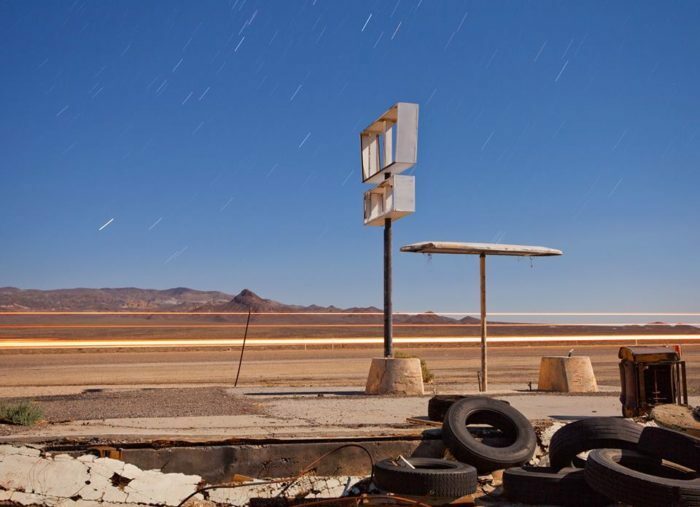 Coaldale is an eerie 20th century ghost town comprised of fire-scorched, mid-century buildings crumbling in the hot desert sun. 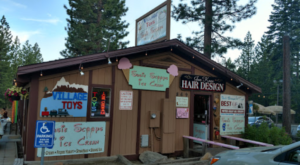 There's a bunch of houses, a motel, a restaurant and bar, and lots of evidence of a more modern existence like stove tops, a refrigerator, a television, mattresses and a lawn mower. The EPA discovered a leak in the gas tanks beneath the service station in 1993. 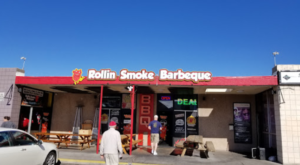 The station went out of business followed by the restaurant. The town quickly dwindled from there. Today it's a modern-day ghost town. 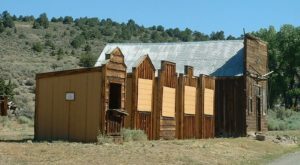 "The Town That Refused To Die," Ione was on its way to becoming a boomtown after silver was discovered in 1863. The town sprung up as a trade and milling center, and had more than 100 buildings by 1864. It was even the county seat. 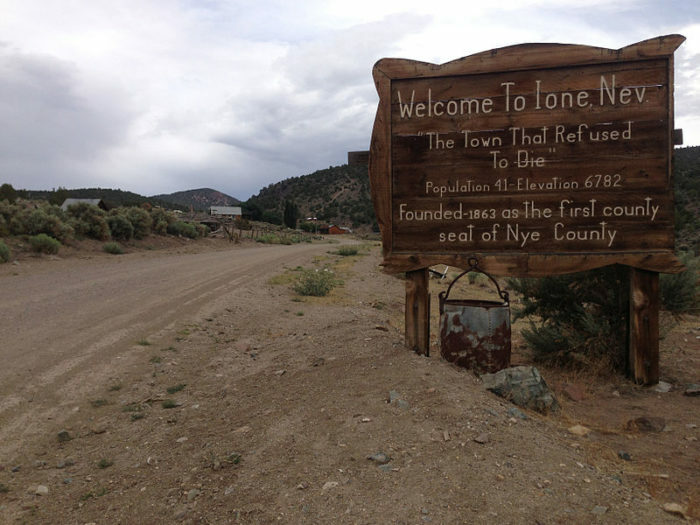 As gold strikes elsewhere drew people away Ione's population declined. There were some other ups and downs, but the post office's closure in 1959 was the final nail in the coffin. 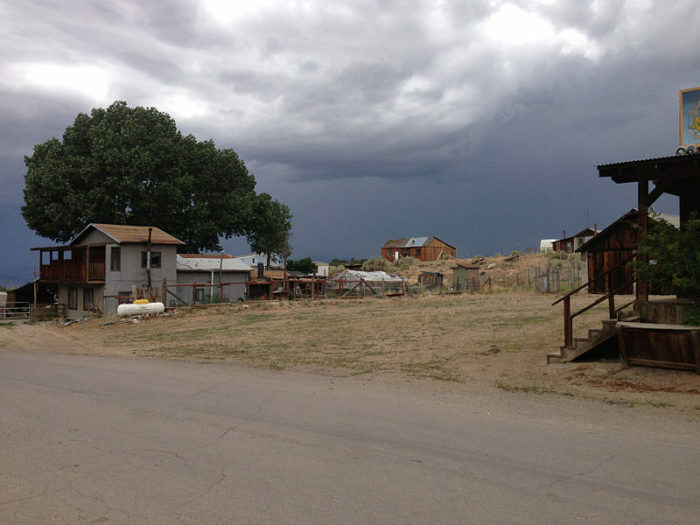 Gas and limited groceries are available in this rustic ghost town. 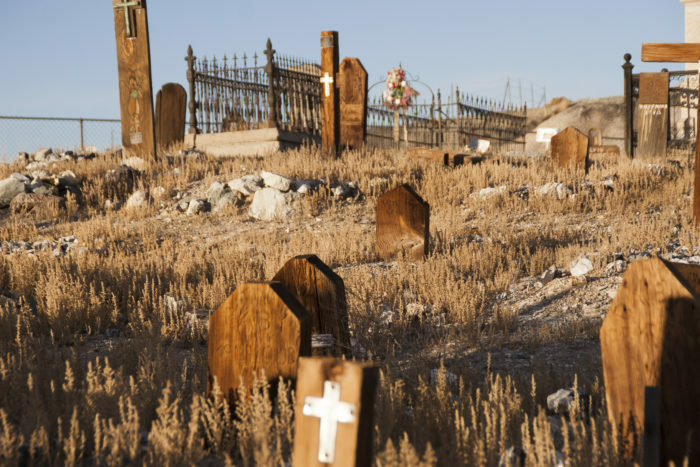 Located next to the infamous Clown Motel, the Old Tonopah Cemetery (1901-1911) is believed to be haunted (though it is not considered the most haunted place in Tonopah). Some of Tonopah's pioneering citizens are buried here, including several who died from the mysterious "Tonopah Plague" of 1902. 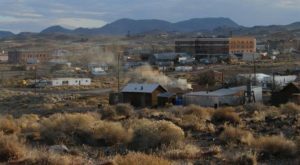 Tonopah has plenty of services including gas, food and lodging. 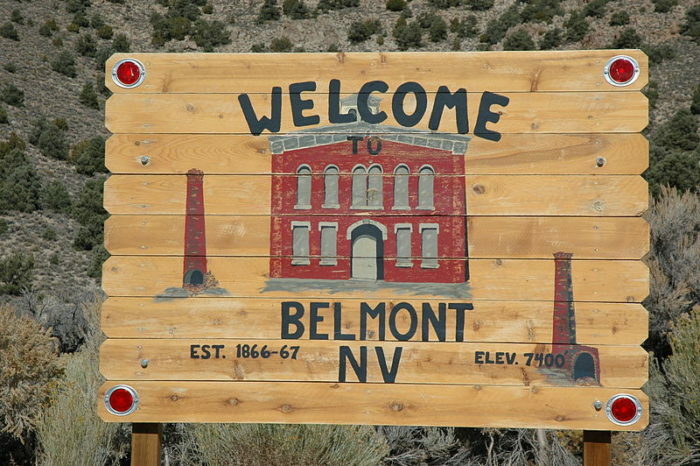 Listed in the National Register of Historic Places, Belmont was a major boomtown during the 1870s, but it didn't boom for long. The town had four stores, two saloons, five restaurants, a stable, post office, bank, school, two newspapers, a telegraph office and more. It was practically dead by 1905. The Belmont courthouse is one of the most prominent of the remaining structures in Belmont. Other buildings still standing include the Cosmopolitan Saloon, the Monitor-Belmont Mill and the Belmont Courier Newspaper office. That concludes your Nevada abandoned places road trip. 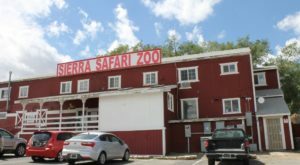 This road trip can also be approached from the north and there are several options for altering your route as well as plenty of places to spend the night along the way. Have a great road trip!